Rachel: You really don't want my notes. I won gold medal at the Loser Olympics. Blaine: You can flame out as much as you want on national TV, but you're still Rachel Berry, and you are a show choir genius. 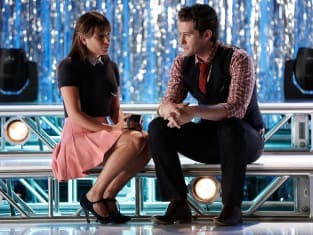 Glee Season 6 Episode 1: "Loser Like Me"
All I've ever wanted is to come home and have everyone know my name and now they do. Permalink: All I've ever wanted is to come home and have everyone know my name and now they do. [to Rachel] They say you have to lose everything before you can really find yourself. Permalink: They say you have to lose everything before you can really find yourself.